The opposition National Democratic Congress [NDC], has announced that it will end the re-registration of its members next week Wednesday, February 28, 2018. 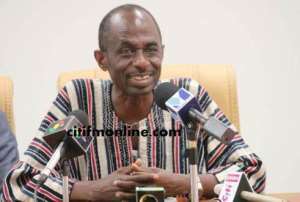 The party began the manual re-registration of its members in December 2017, when it decided to abandon its biometric register after claims that some non-NDC members were on the register. The party scrapped its biometric register to pave way for re-registration following complaints that some non-NDC members were on the register. The NDC, prior to the election in 2016, commenced the registration of its members through a biometric system targeting to capture about 1.5 million members of the party. The National Democratic Congress (NDC) wishes to remind all party supporters and sympathizers that the National Registration Exercise of its members officially ends on Wednesday February 28, 2018. The party encourages all members and sympathizers to endeavour to go to their designated Branches where the exercise is being conducted to register before the closing date. The party seizes this opportunity to thank all comrades for the enthusiasm with which the exercise has been embraced and, assures them of the commitment to reorganize as the NDC continues to prepare to recapture power in 2020.